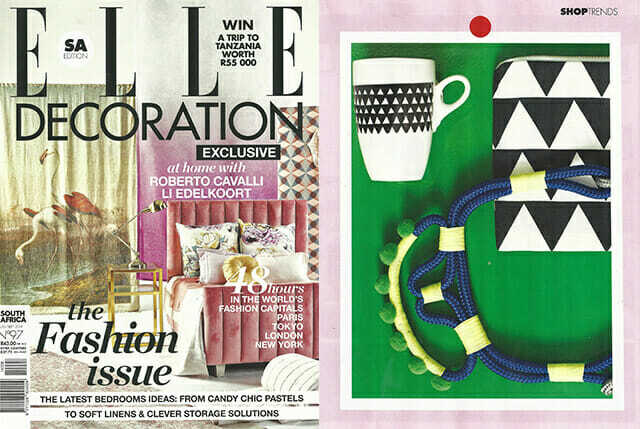 Spotted – our black triangle pouch in the latest issue of Elle Decor’s trends section. LOVE the colour usage in the spread! Get a pouch of your own in ZAR or USD from our online shop!